Some of the “black warriors” for the Union, as Lincoln called them: At least 18,000 African Americans from Mississippi, such as those in this image, served in the Union army. 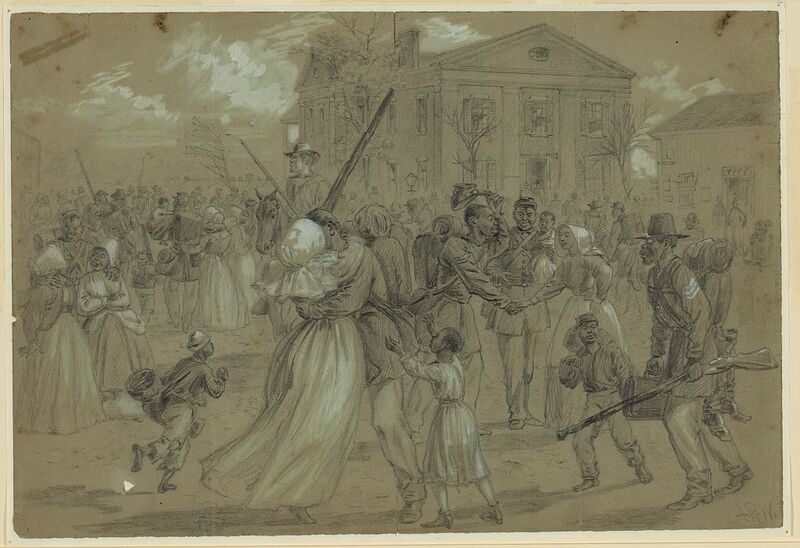 By 1865, Confederates pondered the use of slaves as soldiers in their army. By February 1865, the Confederate States of America was on the brink of military collapse. Indeed, on April 9, 1865, Confederate General Robert E. Lee would surrender to Union General Ulysses S. Grant, an event which triggered the beginning of the end of the Confederacy. But before defeat came desperation. All options were being put on the table. 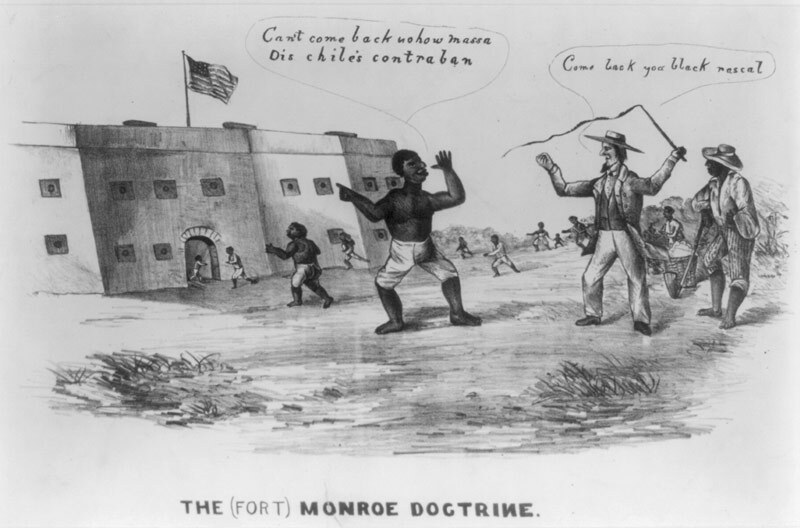 Confederates began to debate a fundamental shift in political and military policy: the use of slaves as soldiers in the Confederate army, along with emancipation for those who served. Robert E. Lee had weighed-in on the issue in January, 1865. He recommended that slaves be “employ(ed) without delay” in the Confederate army, and be given freedom immediately upon enlistment. He recommended a plan of “gradual and general emancipation” that would eventually free all the Confederacy’s slaves. 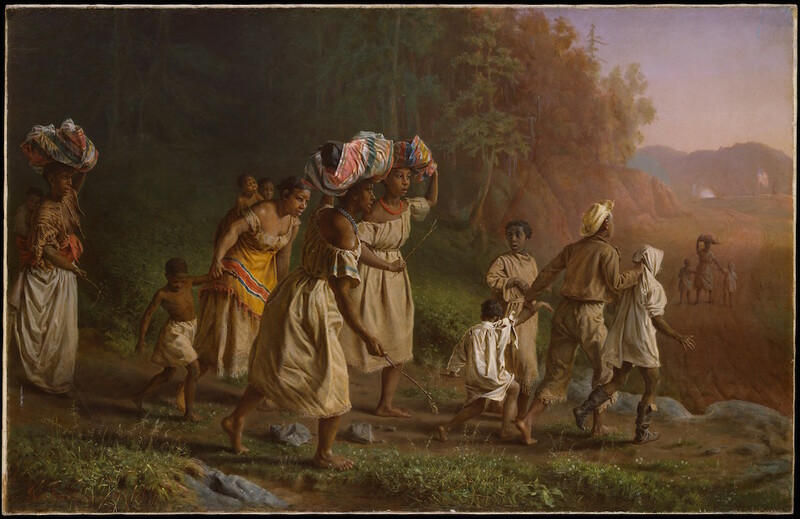 These steps, he reasoned, would ensure the “efficiency and fidelity” of the slaves in their new roles as soldiers. Lee was a popular figure in the Confederacy, but that did not make his views on slave enlistment and emancipation universally popular. A dissenting view came from Charles Clark, the governor of Mississippi. The blue-clad cavalry arrived at Jackson, Mississippi, that July 1864, causing the inhabitants to fully realize what had happened to their state, their Confederacy, and, most important, their lives. These were not typical Union cavalrymen, which the citizens of Jackson and had seen before. These were African American Yankees, the Third Regiment Cavalry U.S. colored troops, raised and organized out of Mississippi slaves in 1863. 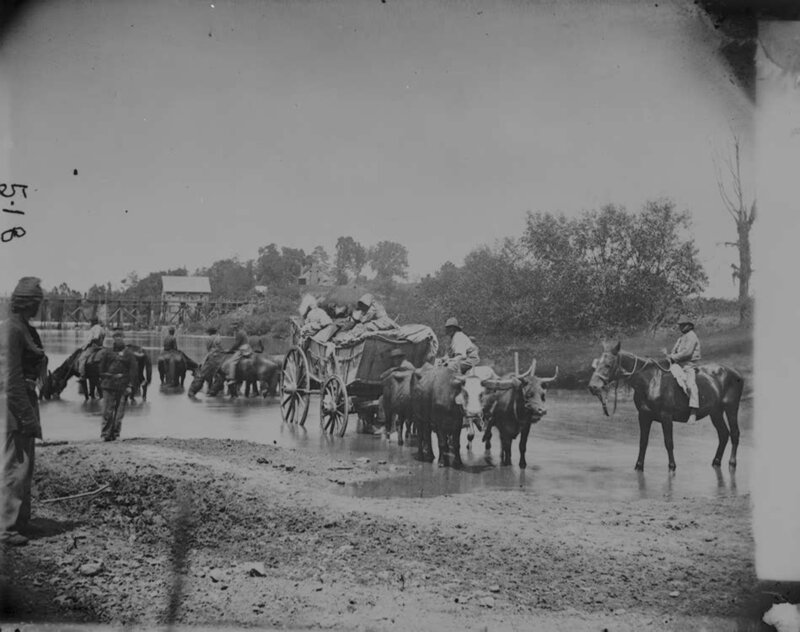 Firmly in control of the city and all functions that took place in it, the cavalrymen openly displayed a new manner in Mississippi; old cultures and society were obviously changing. 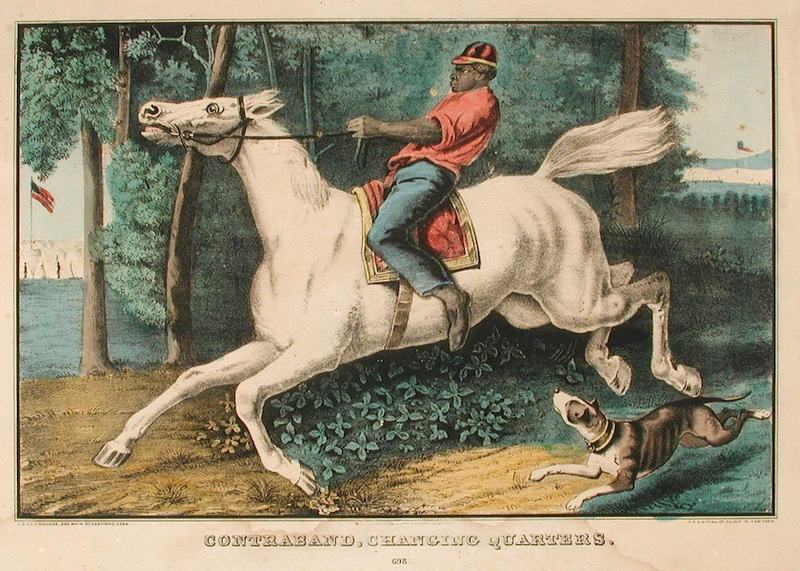 A white officer in a black regiment noted the change: “the slaves are the masters and the masters, or rather, the mistresses, for there are a few masters at home, are the slaves, through fear.” One former slave put it more succinctly when he spoke of the “bottom rail on top.” That day had come in Mississippi. US Army Major Martin R. Delany: Delany was a free born “African American abolitionist, journalist, physician, and writer.” (per Wikipedia.com) Among other activities, he was co-publisher of the North Star newspaper along with Frederick Douglass. During the Civil War, “Delany recruited thousands of men for the Union Army. 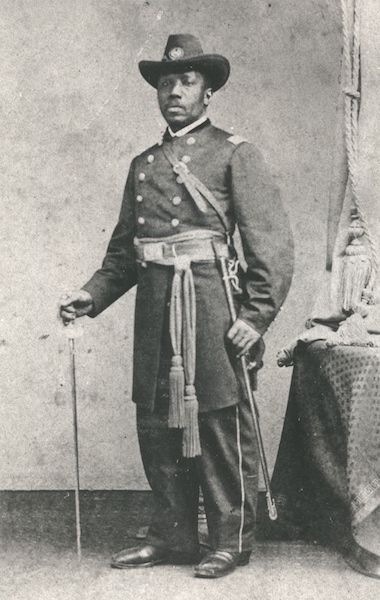 In February 1865, after meeting with President Abraham Lincoln to persuade the administration to create an all-black Corps led by African American officers, Delaney was commissioned a Major” in the US Colored Troops (per Blackpast.org). Edward M. Stoeber, a lieutenant in the 104th US Colored Troops, US Army, was shocked. He had just attended a “lecture” in St. Helena Island, SC, given by army Major Martin Robinson Delany to a group of fellow African Americans in July 1865, as the American Civil War was coming to an end. Delany’s audience had been enslaved, but were now unbound. 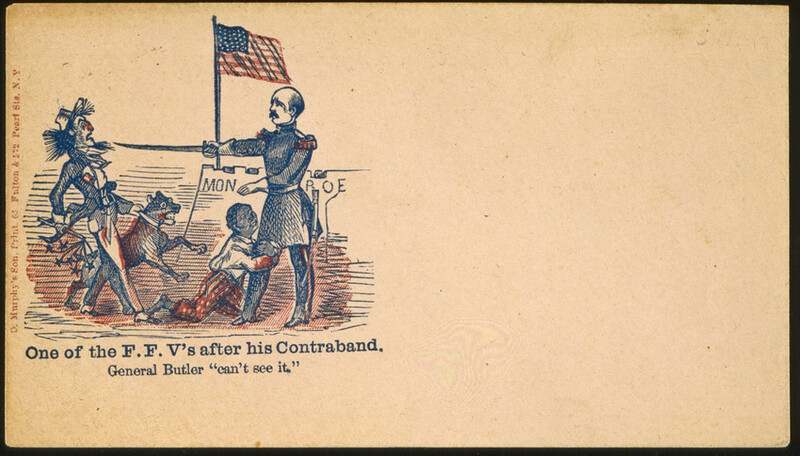 Delany – who was commissioned an army major by Abraham Lincoln after appealing for the creation of black regiments led by black officers – gave the freedmen and women advice for how to move forward, advice which drove the white Lieutenant Stoeber to disgust. Why was Stoeber so upset? For one, Delany told the freedmen that they had had freed themselves by enlisting and fighting in the Union army. Stoeber disagreed, evidently unable or unwilling to acknowledge African American agency, or perhaps, angry that the martyred Abraham Lincoln was not getting enough credit. “This is a falsehood and a misrepresentation. Our President Abraham Lincoln declared the colored race free, before there was even an idea of arming colored men,” said Stoeber in a letter to his superiors. “This (talk from Delaney) is decidedly calculated to create bad feeling against the Government,” he insisted. Additionally, Stoeber was concerned that in “acquaint(ing) (the freedmen) with the fact that slavery was absolutely abolished,” Delany had thrown “thunders of damnations and maledictions on all the former slaveowners and people of the South, and almost condemned their souls to hell.” Stoeber might not have been aware that jeremiads against slavery and the South were not uncommon for black abolitionists, perhaps even some white ones. Stoeber was also alarmed that Delany warned the freedmen to beware of white “ministers, schoolteachers, Emissaries, (and others who would come South to help the freedmen) because they never tell you the truth.” Such talk, said Stoeber, “is only to bring distrust against all, and gives them to understand that they shall believe men of their own race. He openly acts and speaks contrary to the policy of the Government, advising them not to work for any man, but for themselves.” Such talk was dangerous, according to Stoeber: “In my opinion of this discourse he was trying to encourage them to break the peace of society and force their way by insurrection to a position he is ambitious they should attain to.” Delany’s views were informed by a lifetime of prejudice against himself and other African Americans living in the North; this included his dismissal from Harvard Medical School after just a month of attendance, when white students wrote of their objection to the presence of blacks at the school. Delany and Stoeber seemed to have irreconcilable views of the past, present, and future. Major Delany, an activist African American from the North, had his own ideas about the role of African Americans in building the South and winning the Civil War, and in charting their own future as free people. For him, self-pride, self-worth, economic self-sufficiency, and a healthy dose of skepticism concerning the intentions of, and advice from, whites were key for black progress. But as far as Lt. Stoeber was concerned, Delany was a “a thorough hater of the white race (who) excites the colored people unnecessarily” and horrified white onlookers. 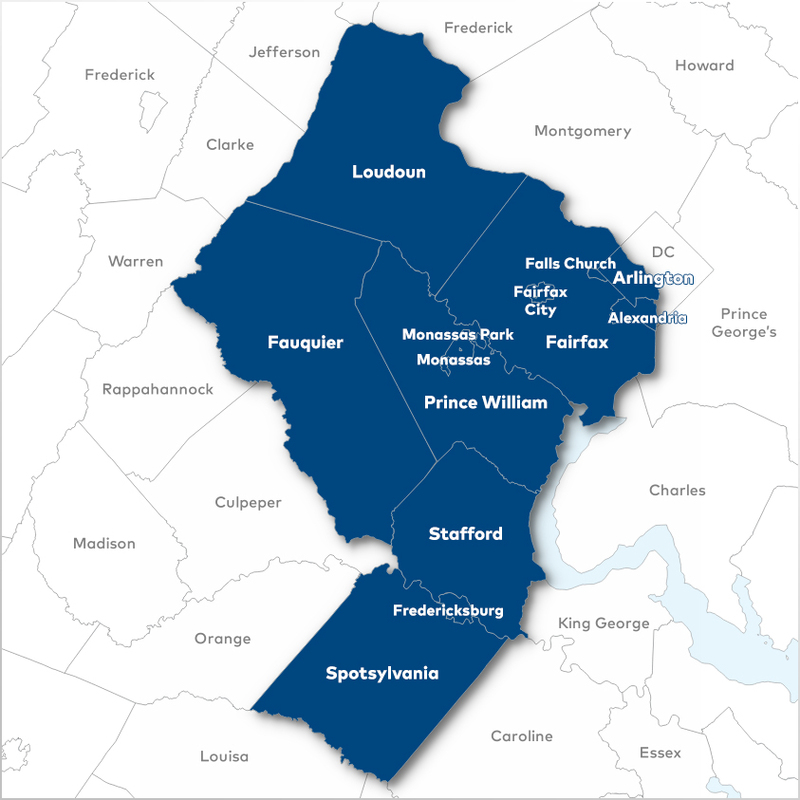 Stoeber was also concerned that Delany gave incorrect information about the Union government’s land and labor policies, information that he feared would create false expectations and eventually result in anger among the freedpeople. Delany was not the first to speak to what some might call a “black” (others might say “correct”) understanding of the war, emancipation, and permanent freedom, nor would he be the last. Stoeber’s reaction to his comments underscores that the memory and interpretation of the Civil War, as well as the strategies and policies for African American independence, would be contested, even among those who were on the Union side, and lead to outcomes that no one could predict. This (partial) text of Delany’s July 1865 speech to former slaves in Beaufort, South Carolina, is based on the recollection of Lt. Stoeber, as written in letter to Brevet Maj. S. M. Taylor, Assistant Adjutant General with the Bureau of Refugees, Freedmen and Abandoned Lands (AKA the Freedmen’s Bureau). There was some fear among (white) government officials that Delaney might be using inappropriate language or giving improper instruction and advice to the freedmen, hence Stoeber’s presence at the speech. In obedience to your request, I proceeded to St. Helena Island, yesterday morning for the purpose of listening to the public delivery of a lecture by Major Delany 104th Ne[gro] S.C. Troops. I was accompanied by Lieut. A. Whyte Jr. 128th Ne[gro] S.C. Troops, Com[an]d’g Post. The meeting was held near “Brick Church,” the congregation numbering from 500 to 600. As introduction Maj. Delany made them acquainted with the fact, that slavery is absolutely abolished, throwing thunders of damnations and maledictions on all the former slaveowners and people of the South, and almost condemned their souls to hell.